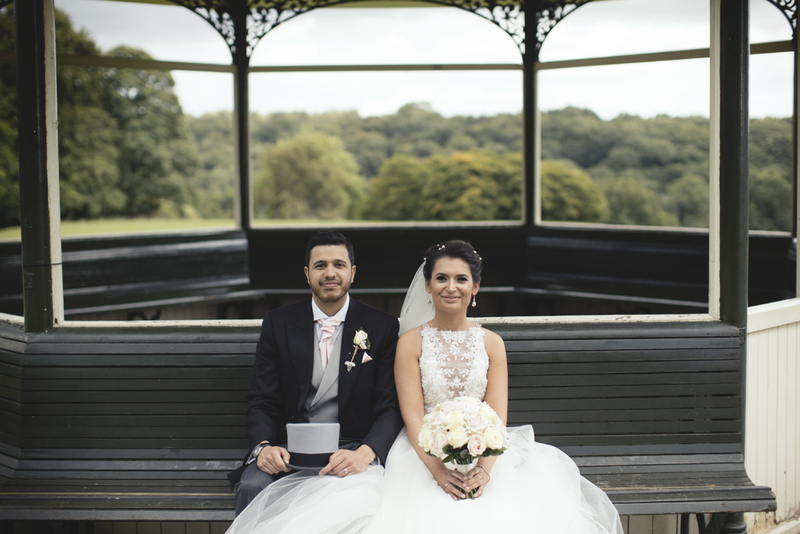 Charlotte and Amarvir had a summer wedding at The Mansion in Rounday Park, Leeds. Selecting some of our best loved suppliers to create their perfect day. They fell in love with the venue and valued that they would have exclusive use with their guests on the day. Charlotte Naidoo and Amarvir Bilkhu are both Doctors, who work and live in Leeds. Date and location of wedding – why did you choose this location to get married? The dress – where was it from & what was it like? How many dresses did you try on? “Our photographer was Bethany from Bethany Clarke Photography based in Harrogate and her husband Matt Clarke. They are now known as Lloyd-Clarke Photography. They are both really nice people and produced a very professional and beautiful wedding album and even included a pre-wedding shoot! Who did you choose to do your wedding flowers? “The Hair stylist was Emily Hawkes Bridal Hair Stylist, based in Leeds. She is very pleasant and we had a pre-wedding trial. On the day, she was focussed and attentive, producing a perfect style for me. “We booked a string quartet via High Row Music for our main ceremony. They were professional and very talented; they played two 45 minute sessions and so they also played during the drinks reception. They are flexible and even learnt two extra music requests in advance.” High Row are a popular choice for weddings at The Mansion – they know our venue well and often come along to our wedding showcase evenings (if you want to come and have a listen). “For us, the most memorable part of the day was seeing all our closest friends and family come together and celebrate with us for the ceremony and the celebrations into the evening. It was so special to us and it felt so memorable for everyone because the whole wedding came together as such an elegant event with a special focus on our love and marriage. We regularly host wedding showcase evenings at The Mansion, so you can see the venue dressed for a wedding and meet some of our regular suppliers.